Early refill requests from patients, short tempers, and demands for their medicine in spite of legal restrictions, are red flags pointing to addiction and non-therapeutic requirements for dangerous substances. Dealing with people who behave like this frequently cause pharmacy staffs to become jaundiced and suspicious of customers who take a lot of pain medication. It’s an unfortunate situation and has gotten worse in the last two decades. Flash back to 1979, again in Louisiana. A team of undercover agents arrives at a doctor’s office and is greeted by the front desk person seated in the apex of a V-shaped desk. On either side of the desk, leading in separate directions were two doors. After a friendly greeting, she asked, “Are you on a diet, or are you in pain?” Not a good beginning. That prescriber eventually lost the privilege of writing prescriptions. There’s nothing new under the sun—and because of the abuse potential, pharmacists are now apt to scrutinize every pain prescription more closely, whether it’s a C-2,3, or 4 drug. I haven’t heard from Alpha again, although it is safe to predict that she found a pharmacist to fill her prescriptions. Never heard from Mr. Epsilon again either. If he isn’t in jail, I hope he’s in some kind of recovery program. Gamma’s saving grace is that all of her meds are being prescribed by the same doctor, an oncologist. 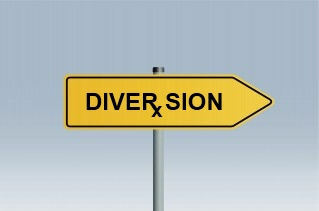 Many pain clinics are simply store fronts for unscrupulous doctors engaged in diversion. Beta is another story. Beta now lives in Tennessee, sees a doctor in a strip mall in Florida, and uses pharmacies in Georgia and Kentucky. He’s not on the peace train, he’s riding the Oxycontin Express. When there’s so many bad apples, perhaps it’s time to examine the orchard. Acknowledgement: Free lance writer and investigative reporter, George McGinn contributed to this article. I would have a lot of questions for both the prescriber and the patient. On the surface, with no details, this really smacks of diversion. About two weeks ago, I received a phone call from Alpha. She was having trouble finding a pharmacy that would fill her prescriptions in Florida. I referred her to my successor at the store where we had become acquainted. I’ve been gone from that pharmacy for two years. Her daily dose would be fatal for a patient who had not built a tolerance for such high doses. Her doctor requires regular lab tests to ensure she is taking the medication. Yesterday, I refused to fill a prescription for a “patient” who is on a similar regimen of drugs. We’ll refer to him as “Beta.” His doctor doesn’t do blood or urine tests to confirm compliance. His doctor requires cash payments for office visits at the time of the visit. This patient drives a new Mercedes. Yesterday, as he often does, he wanted his prescription filled a week early. He became unruly when I pointed out that the doctor himself had put on the prescription when it could be filled. Pharmacists from around the country report similar occurrences in their practices. 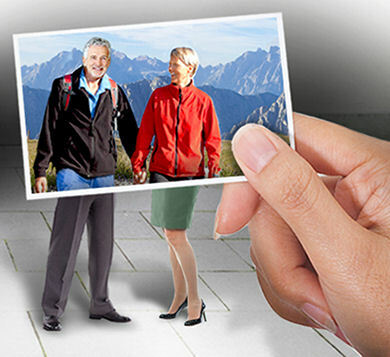 10,000 Baby Boomers reach age 65 every day. Then I met Betty Lou (my favorite generic name) but to be consistent here, she will be “Gamma.” She’s been my patient now for a couple of years. When she first started doing business at my store, her doctor confirmed that she was a terminally ill cancer patient. She’s been terminal now for over two years. She takes three different narcotic pain meds, Ritalin® in the morning, and sleeping pills at night. She takes meds for nausea and constipation. She’s obese. And this represents only three of the hundreds of patients we see on a weekly basis. Now meet patient “Delta.” Delta comes in regularly with prescriptions for 240 Ultram®, 180 Percocet®, and 90 Dilaudid® tablets(all generics.) Every month, Delta presents that month’s prescriptions a few days early. Delta’s chief complaint is “Every time I come into this pharmacy there’s a problem.” The recurring problem is that Delta wants early refills every month. 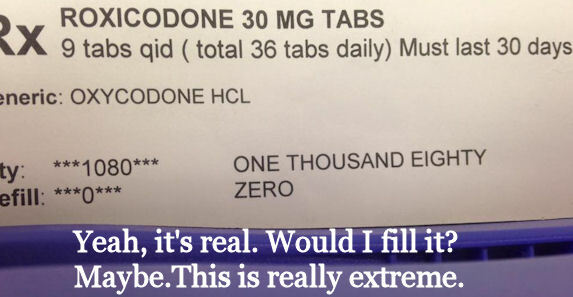 Delta’s doctor writes the date each prescription can be filled into the instructions. Some of the patients who seem legit, take so much, I wonder. Are they really taking that many tablets? Finally, patient, “Epsilon.” Epsilon sees a different doctor every week. Sometimes the doctor is from out of state. I’m not aware of any pharmacy in our area of the state that will fill an out of state prescription for schedule two controlled substance. 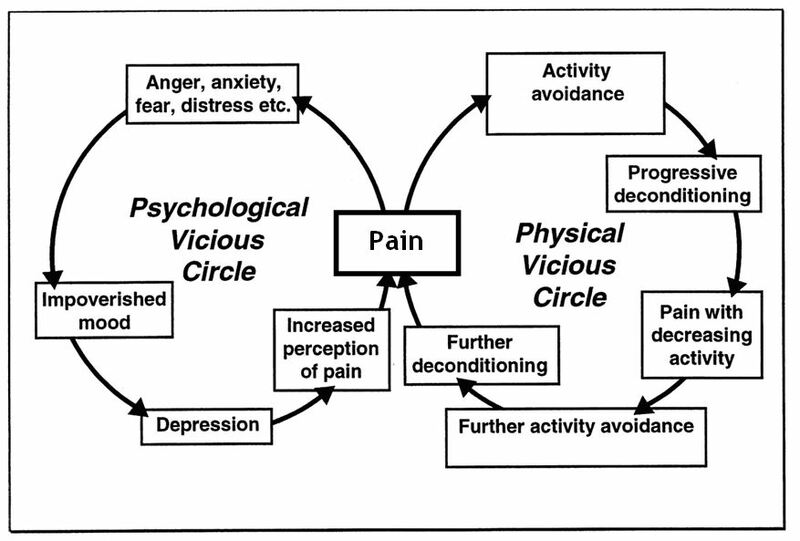 It’s disheartening to see bona fide long term pain management patients become addicted to drugs and then watch that dependence change their behavior to the point that we cannot deal with them rationally. Another day in the life of a pharmacist. To be continued tomorrow, HERE.